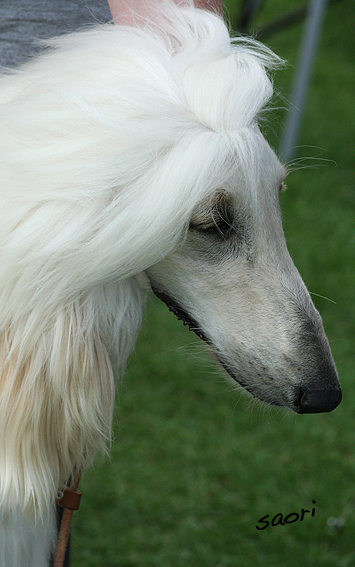 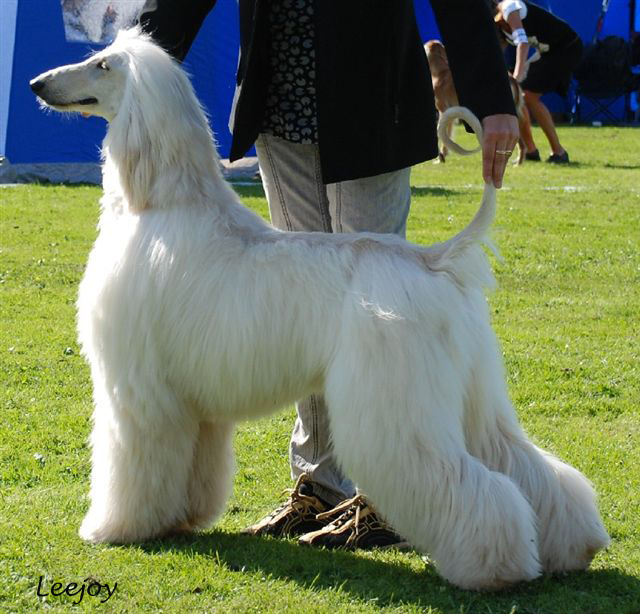 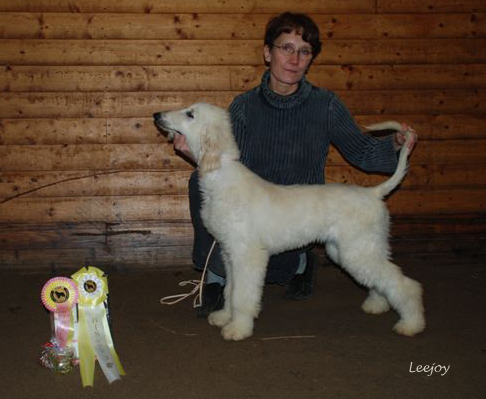 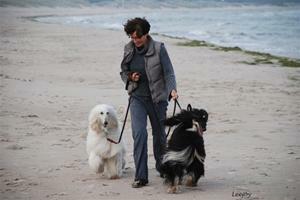 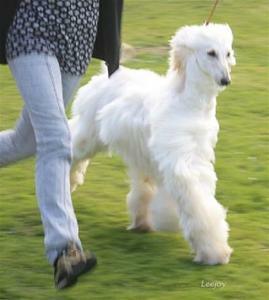 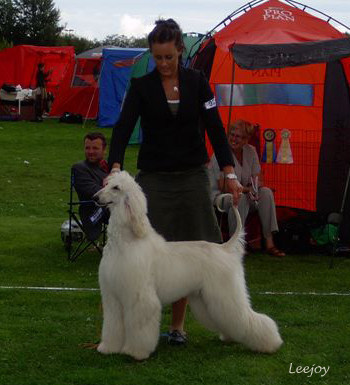 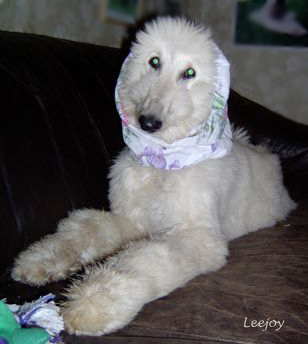 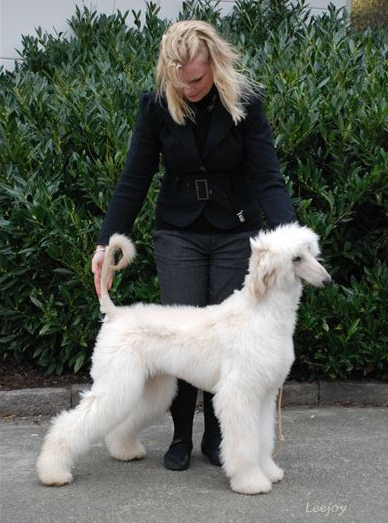 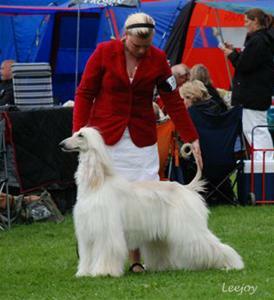 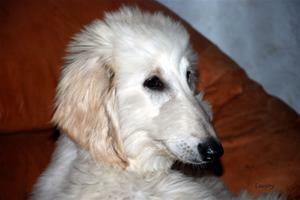 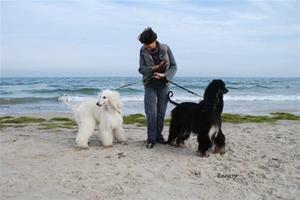 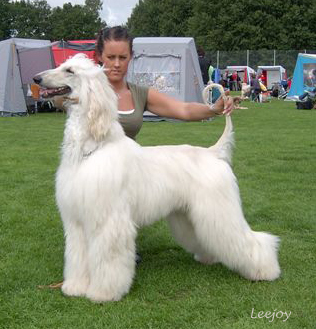 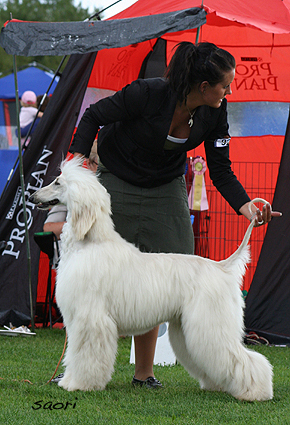 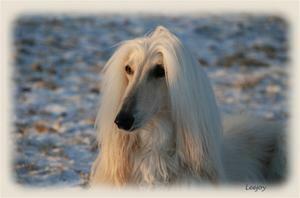 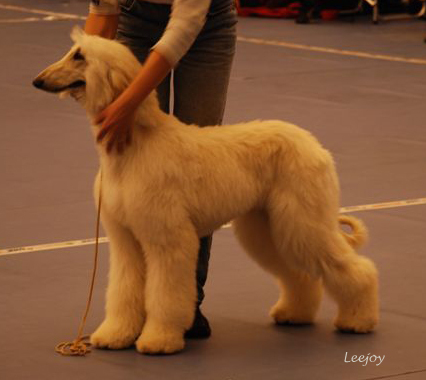 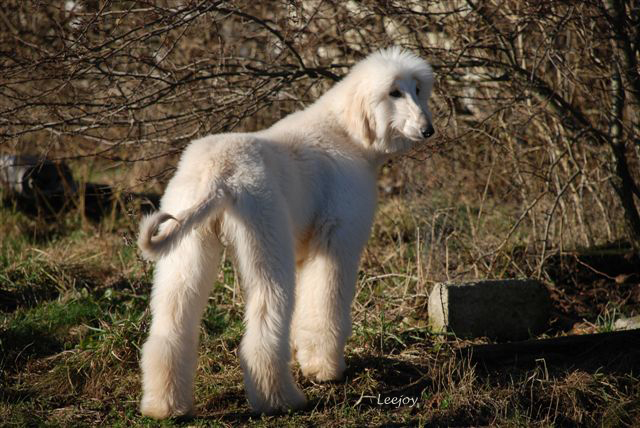 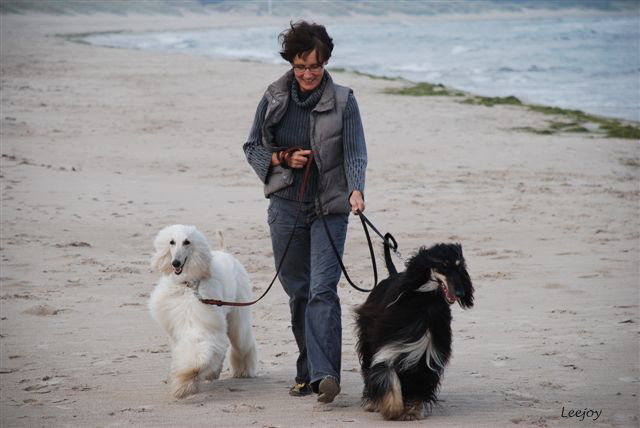 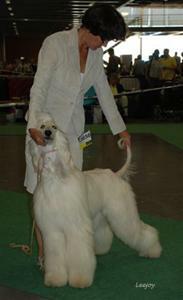 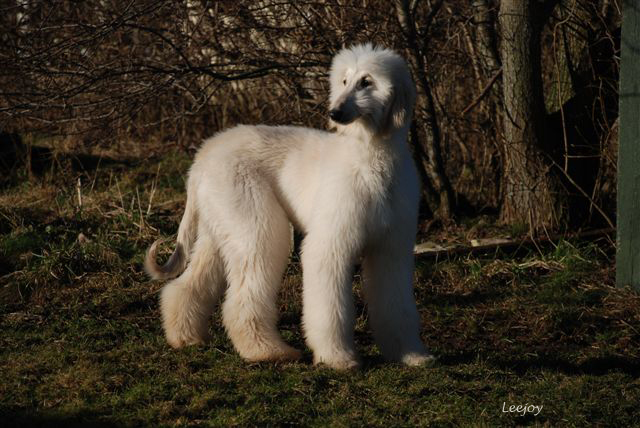 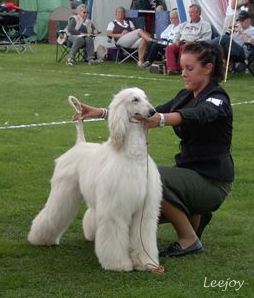 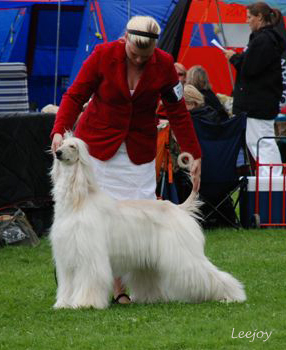 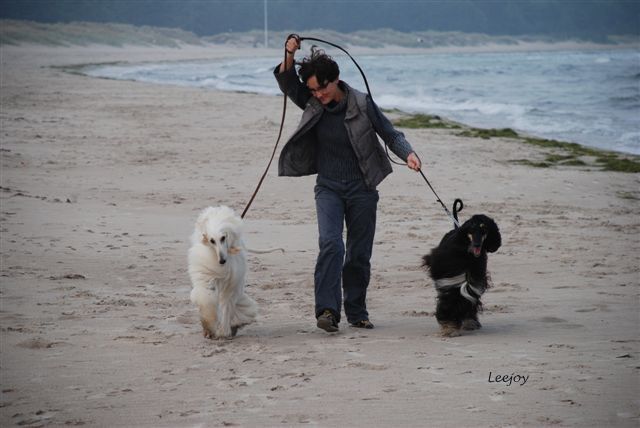 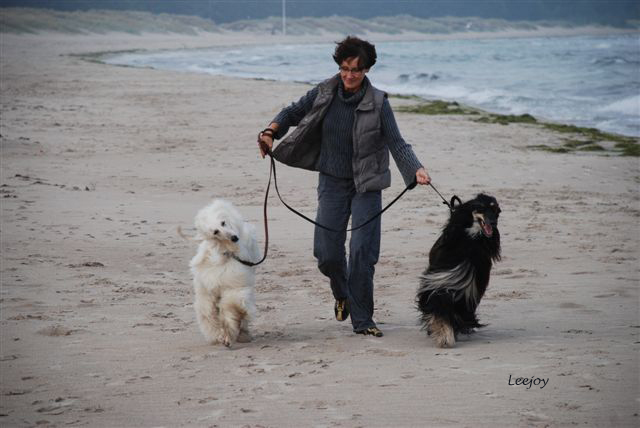 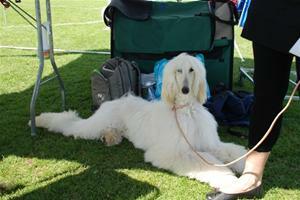 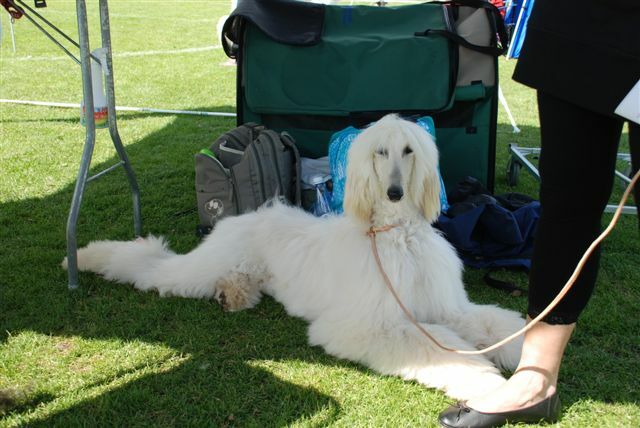 Miranda is co-owned and dearly loved by Leena & Johnny Pettersson - Kennel Leejoy Afghans (Sweden). This white fairy is sparingly shown and has so far 1 CAC. 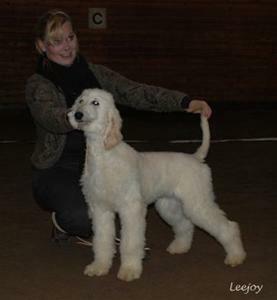 Miranda is one of the 8 puppies in the from our EXCLAMATION litter out of "GOSH" and "ROSALINDA". A line breeding on SANDRA - Multi Ch TASH KURGAN SATURDAY NIGHT FEVER, Taco and Fred.